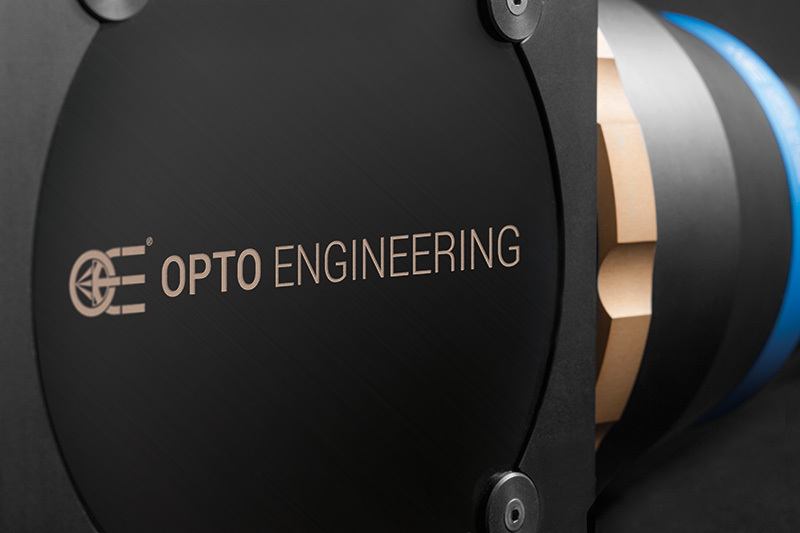 CMBS series is a collection of 50/50 plate beam splitter modules designed to create highly efficient coaxial illumination solutions with Opto Engineering® telecentric lenses and collimated illuminators. This particular configuration allows for almost perfect coaxial illumination of shiny or matte surfaces, with no stray light or hot spots. 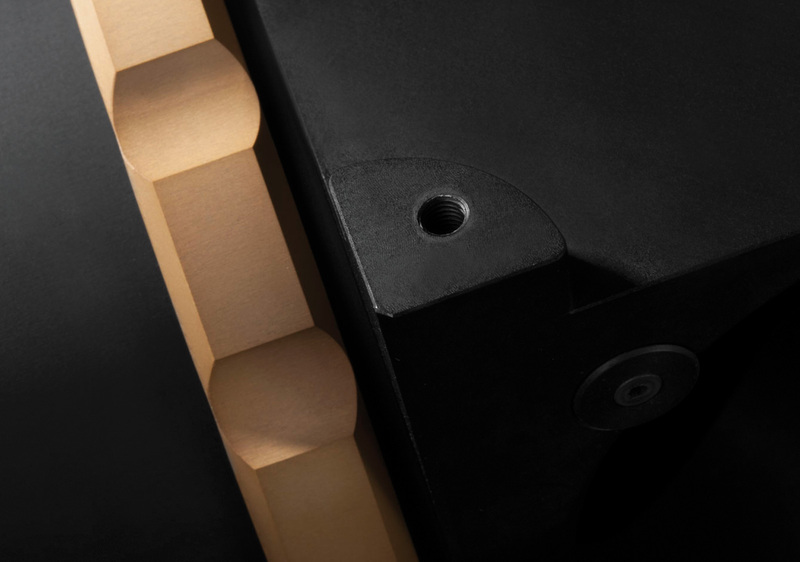 CMBS series is designed for 45° angle of incidence in the 430 - 670 nm waveband: one surface is beam-splitter coated while the other side features anti-reflective VIS coating. 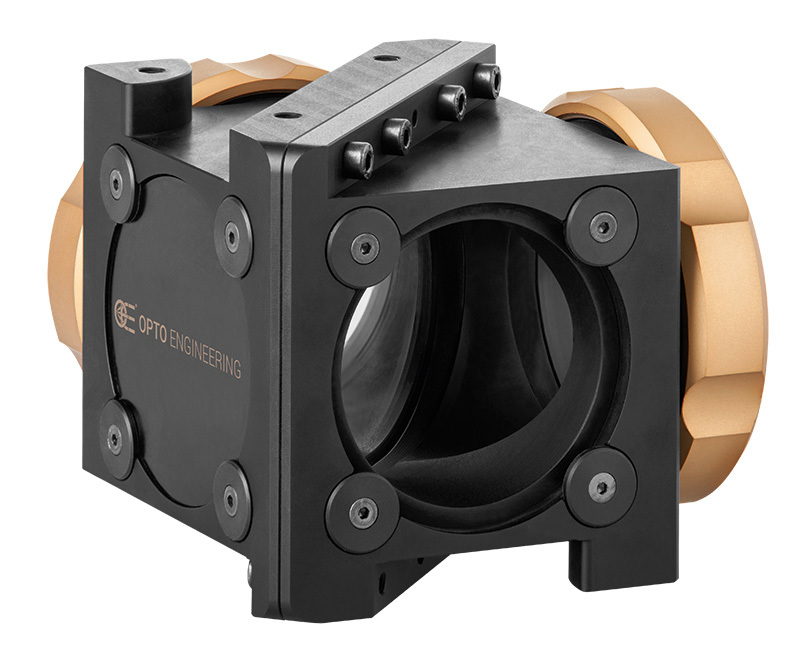 With the CMBS series, building the perfect coaxial illumination telecentric setup is extremely easy: simply mount the telecentric lens and the collimated illuminator into the appropriate ports, then rotate the knobs to tighten the compression rings and secure the lenses. Compatible protective windows are also available. Coaxial illumination is especially useful to illuminate plain reflective objects and effectively highlight flaws or dents, which appear in the image as dark features. Whenever you are looking for a precise and easy way to setup a coaxial illumination solution, CMBS series is the ideal choice. Ready to use and easy to setup. Ideal to create coaxial illumination solutions. 50% transmission and 50% reflection. Additional clamping mechanics are required to adequately support combination of CMBS with telecentric lenses and illuminators. CMHO series clamping mechanics may be used prior to verification of mechanical compatibility (see CMHO series mechanical drawings available online). CMHO is not compatible with the combination of the following products: CMBS and TC13xxx.